I know you've heard the old phrase "sticks and stones may break my bones but words can never hurt me." It's not really true, is it? The truth is words often hurt more. 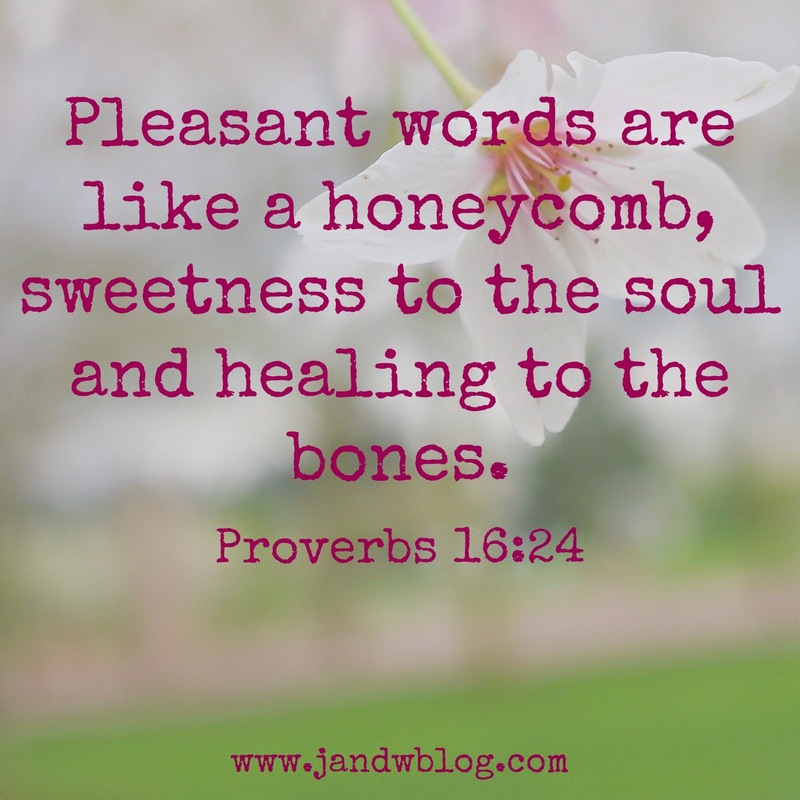 My words are quick to come, and it has been a lifelong battle to make sure my words are edifying and not destructive. I was not a perfect child (shocking, I know) and one particular time I had said something mean to my brother (I honestly cannot remember the incident AT ALL), but I remember vividly the discipline. My mother sat me down with her Bible and a concordance and had me look up 10 or so verses talking about the tongue. Talk about hitting close to home. The Bible has a lot to say about the power of the tongue, and as a young girl, I was a bit shocked about how powerful my words were. It was definitely a "punishment" that has stuck with me my whole life. Words are my way of expression, which is why I love to blog, but they can also be me undoing. I like to think I have my tongue better managed than when I was 9, but some days I am not so sure. Part of working towards a clean heart and right spirit is to make sure I am thinking on words that build up instead of tear down. My Pandora station is set to hymns today, and the verse from Proverbs above is what I am thinking about today. (This is a verse that hung in my room as a girl, and is one that I memorized early on to remind myself of the power of the tongue. I love the phrase "Sweetness to the soul." What a perfect visual for me - I certainly need sweetness in my soul. It seems, after all, that words not only have the power to hurt more than sticks or stones, they also have the ability to heal. I know I will be working harder than ever to make sure such a powerful tool is managed well. What a beautiful 'punishment' your mother gave you! What a wise woman! I, too, struggle to let my words be full of sweetness--I've found that I need to change my thoughts, first! (which, of course, takes a lot of disciple--but it's always worth it). This is a great story. I have seen a few things about words lately they are important and can hurt. This one is a big struggle for me! I may have to steal your mom's idea, for myself and future reference for a related teachable consequence for my kiddos.